Thomas Piketty: "A basic income in India"
CHRONIC. In his column in "The World", the economist analyzes the proposal made by the Congress Party to introduce a basic income system. Chronic. The biggest vote in world history has just begun in India: more than 900 million voters. It is often said that India learned the art of parliamentary democracy in contact with the British. The statement is not entirely false, provided, however, to add that India has carried this art on a scale unknown before it, within a political community of 1.3 billion inhabitants, crossing by immense socio-cultural and linguistic divides, which is otherwise more complicated. Meanwhile, the UK is struggling to stay that way. After Ireland in the early twentieth century, it is not impossible that it is Scotland's turn to leave the Kingdom and its Parliament at the beginning of the twenty-first century. As for the European Union and its 500 million inhabitants, it still fails to put in place democratic rules allowing to adopt the least common tax, and continues to grant veto rights to grand-duchies barely 0.1% of its citizens. Rather than frankly explaining that nothing in this beautiful system can be changed, European leaders would be well advised to look to the Indian Union and its model of the Federal and Parliamentary Republic. Of course, not everything is rosy in the world's largest democracy. The development of the country is undermined by enormous inequalities and a poverty that is decreasing too slowly. 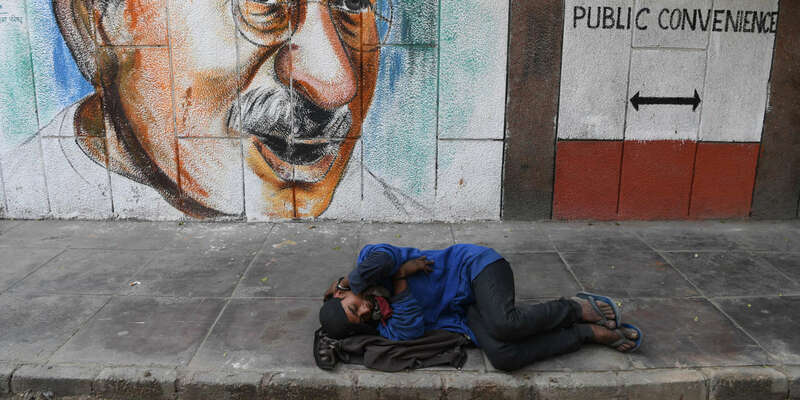 One of the main innovations of the campaign that is coming to an end is the proposal made by the Congress Party to introduce a basic income system: NYAY ( nyuntam aay yojana , "guaranteed minimum income"). The amount announced is 6,000 rupees per month and per household, or the equivalent of about 250 euros in purchasing power parity (3 times less at the current exchange rate), which is not nothing in India (where the median income does not exceed 400 euros per household). This system would affect the 20% of the poorest Indians. The cost would be significant (just over 1% of GDP), without being unacceptable. As always with proposals of this type, it is important not to stick to it and not take the basic income for a miracle solution or a balance of any account. In order to achieve a fair distribution of wealth and a model of sustainable and equitable development, a whole set of social, educational and fiscal measures must be used, of which basic income is only one element. As Nitin Bharti and Lucas Chancel have shown, public spending on health stagnated at 1.3% of GDP between 2009-2013 and 2014-2018, and educational investment even fell from 3.1% to 2.6%. A complex balance remains to be struck between the reduction of monetary poverty and these social investments, which condition India's catch-up with China, which has mobilized greater resources to raise the level of education and health of the country. entire population.